In July 1940 a Focke-Wulf Condor laid mines in Belfast Lough sinking of the SS Troutpool. A week later, the Luftwaffe returned with disastrous consequences. On Wednesday 24rd July 1940, a Luftwaffe plane carried out a mine-laying sortie over Belfast Lough. 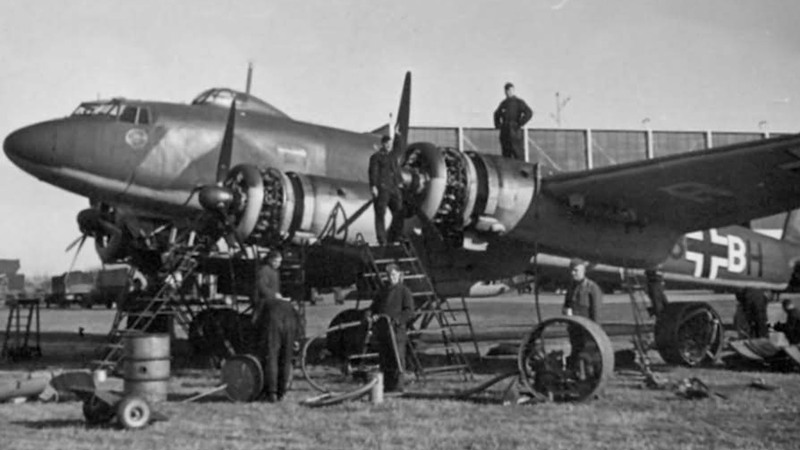 The Focke-Wulf Condor FW200 F8+BH was part of 1st Staffel Kampfgeschwader 40. The crew first flew from Bordeaux-Merignac to Brest-Langeveoc, Brittany. On Tuesday 23rd July 1940, the plane took on four 500kg LMA sea mines. A Luftwaffe crew prepares the Focke-Wulf Condor FW200 F8+BH for a mission. This plane was lost in a crash in Belfast Lough on 24th July 1940. Pilot Hauptmann Volkmar Zenker survived the crash and was taken prisoner. Copyright unknown. The crew of five then departed France bound for Belfast at 1130hrs (BST). Hauptmann Volkmar Zenker commanded the mission. This was their second similar flight in less than a week. An earlier Zenker flight on 19th-20th July 1940 may have caused the sinking of the SS Troutpool. On that occasion gunners at Grey Point Fort observed the Luftwaffe plane. Around 0200hrs on 24th July 1940, the Focke-Wulf Condor descended from the cloud based close to Black Head at the southern end of Islandmagee. On activating the release, only three of the four bombs left the racks. Zenker opened the throttle, climbing around to attempt to drop the remaining mine. Again, the gunners at Grey Point Fort observed the plane at 0220hrs. Zenker made his second run from a lower level and the final sea mine left the racks. In attempting to climb, neither engine responded to the throttle. The plane veered to the left and at such low altitude, there was no time for Zenker to react. He killed the starboard engines to avoid the wing hitting the water, lost control and the Condor crashed into the Lough. I had descended to 1800 metres over the Irish sea. The engines were idling as I was hoping not to be detected. During the first part of the mission i was flying at 100 metres. But then I opened the throttles very slowly hoping to go lower and get rid of the last mine which had become stuck in its holder. I succeeded but now we were at 15 metres altitude. When I opened the throttles further, the two port engines stopped and the plane banked suddenly. In order to avoid the wing tip hitting the water, I stopped the starboard engines and ditched. An air blockage in the fuel pipes caused the engines to fail. This was due to the long period of the Focke-Wulf FW200 gliding with idling engines. On crashing into Belfast Lough, the plane soon filled with water. Feldwebel Willi Andreas and Unteroffizier Rudolf Wagner failed to escape the wreckage. Gefreiter Lothar Hohmann grabbed the rubber dinghy and a distress signal in a tin can. It took almost eight hours to inflate as a comressed air bottle had not been connected. Hohmann, Hocker, and Zenker made it to the dinghy and called out for their missing crew members. The bodies of the two missing men were never recovered. Views out over Belfast Lough, back towards Bangor from the sea wall at the end of the renamed Eisenhower Pier on the Co. Down coast. By the following morning Hauptmann Zenker was exhausted and Hocker took command. They discussed plans to tell any rescuers that they were a reconnaissance flight. All ammunition, paperwork, and incriminating evidence was ditched overboard. HMT Paynter, an anti-submarine trawler picked up the three survivors, taking them to Larne. The crew stood on deck with their rifles loaded. The officer had a pistol. I shot two red flare signals and threw overboard the pistol and ammunition box before putting my hands up. After being taken onboard and searched the sailors supplied us with rum. I was thankful about that as i could not take any more. 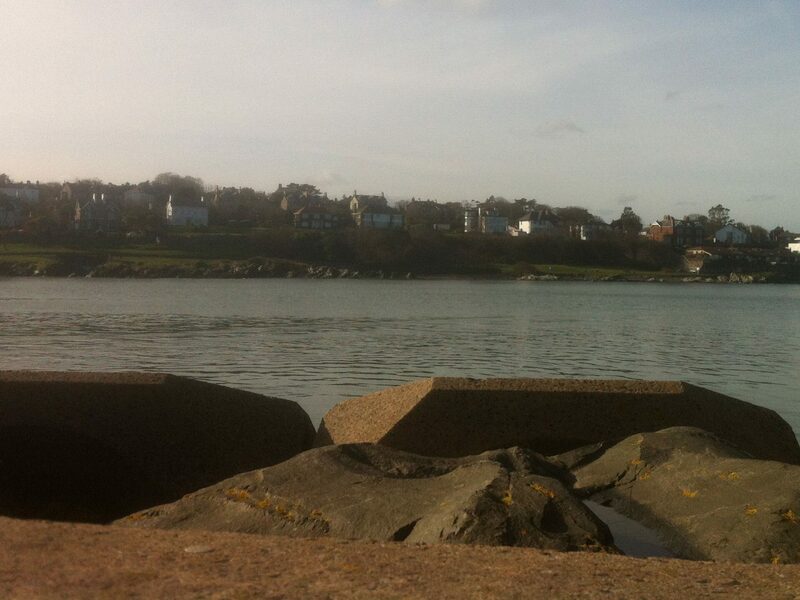 The Paynter’s crew took them to the Olderfleet Hotel, which overlooked Larne Harbour. It was requisitioned by the Naval Officer in charge at Larne. Under interrogation, the captives attempted to conceal their operations. They claimed they were the crew of a Heinkel HE111 on a reconnaissance mission. Later Luftwaffe documents confirmed the Condor crashed 15 miles north-east of Belfast. This was close to where the Paynter picked them up. At the time of the accident, Hauptmann Zenker was in command of 2nd Staffel Kampfgeschwader 40. His loss would have dealt a blow to the unit who had lost two commanders in that week. The crews of Kampfgeschwader 40 did not like using the FW200 for mine laying. If you enjoyed this post on "Focke-Wulf Condor Crash in Belfast Lough, Co. Down", please share with your friends and followers.